Wide Open is one of the most unique Simmental sires to come onto the scene in recent history. 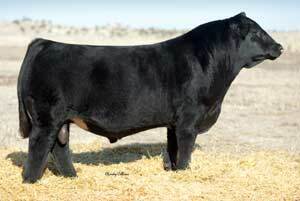 While in Denver, he was a high seller in the sale and was named Bull Calf Champion. His fresh genetics, power and athleticism made him a favorite among purebred breeders and club calf producers alike. His pedigree traces to X339U on the top and bottom, plus Black Irish Kansas, Black Mick and 600U. If you are looking to inject some maternal power into your cowherd without sacrificing eye appeal and performance, Wide Open is an absolute must use bull.